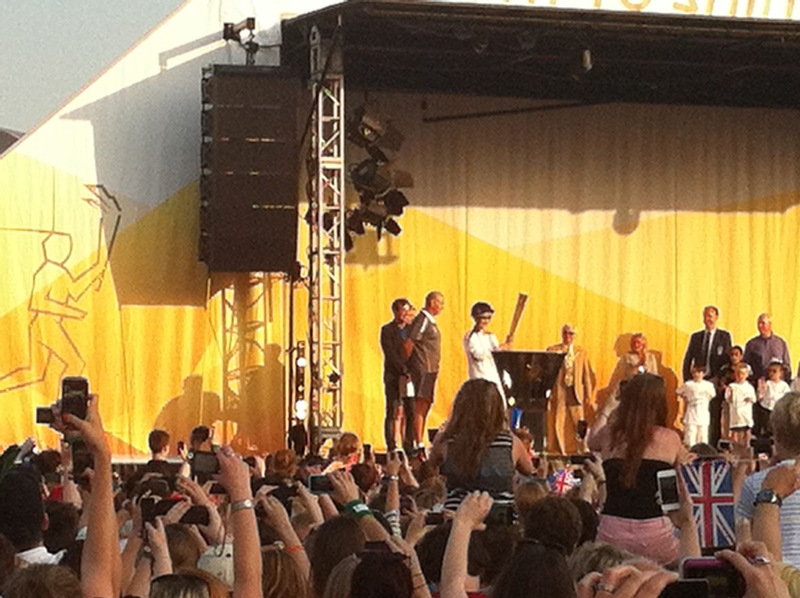 Sarah, Dominic and I attended the Olympic torch celebration in our hometown of Cheltenham last night. The Olympic flame was carried in to the racecourse to the cheers of thousands of people by Zara Phillips, (granddaughter to the Queen; attended Port Regis with her brother Peter) riding Toy Town, the horse on which she won individual and team gold medals at the 2005 European Eventing Championship in Blenheim and individual gold and team silver medals at the 2006 FEI World Equestrian Games in Aachen, Germany, making her the reigning Eventing World Champion until 2010. 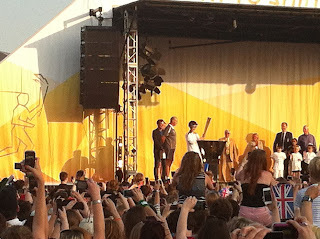 It was a moving occasion and a great way to kickstart the celebrations from this corner of England. 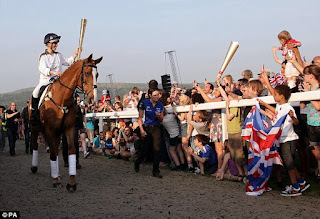 You can watch the progress of the Olympic torch around Britain at http://www.london2012.com/torch-relay/route/ including Shaftesbury on 12 July where our Port Regis students will be there to cheer it on its way.